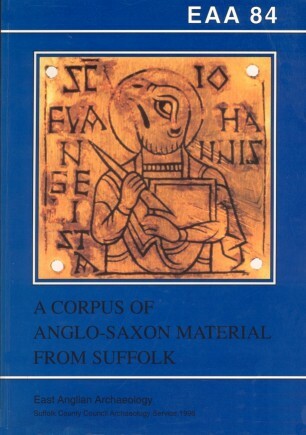 It is eighty years since a comprehensive survey of Suffolk Anglo-Saxon material was published by R.A.Smith in the Victoria County History, and thirty years since R.Rainbird-Clarke’s provocative discussion in his East Anglia. The great surge of interest that has occurred since the 1950s — excavations, field surveys, and the rapidly increasing reported discoveries — combine to make a new survey and catalogue highly desirable. The corpus includes as much of the previously unpublished material as possible, but the treatment of some categories of finds, particularly from the recently published sites, has had to be selective. The work is essentially a catalogue, presented at a time of rapidly-changing views and approaches to the Anglo-Saxons and the appreciation of their ongoing contribution to our heritage. It is intended that it should be used as a primary source for the artefacts and their distribution in Suffolk as a basis for the greater understanding of the mechanics of the establishment and development of Anglo-Saxon East Anglia.